Today’s summer home is not on Formentera for a change! 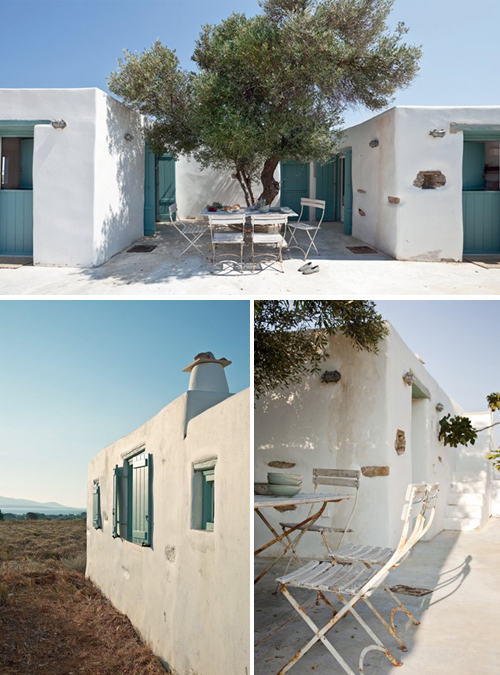 This white & blue house is located on Antiparos, one of the Greek island belonging to the Cyclades, a group of island in the Aegean archipelago. Katerina Vordoni designed this house which is built in the shape of “W”. 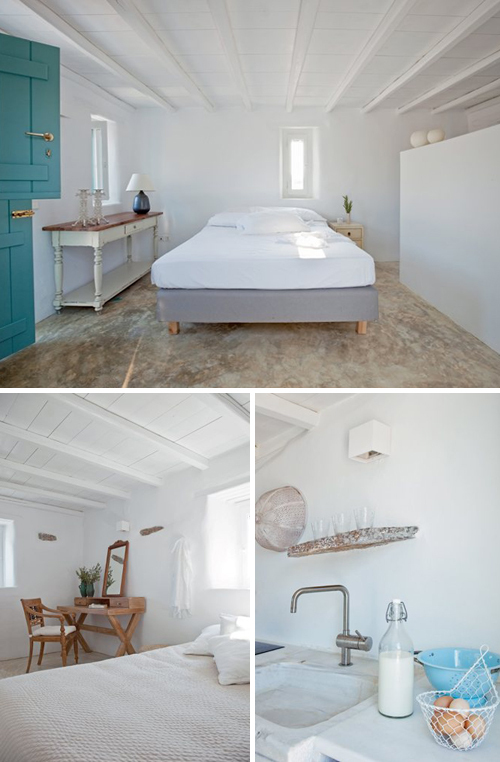 The spaces are not large and the decor is simple but the house is cozy and what else do you need on a beautiful island. What great design work! 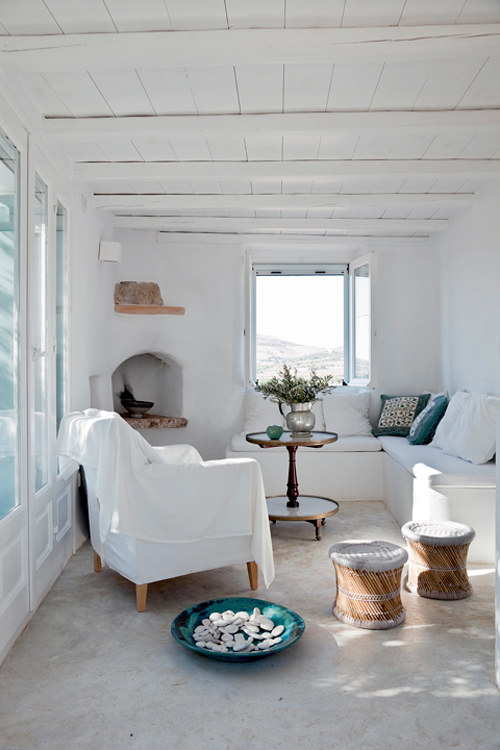 Love that it is so simplistic with touches of Mediterranean style. 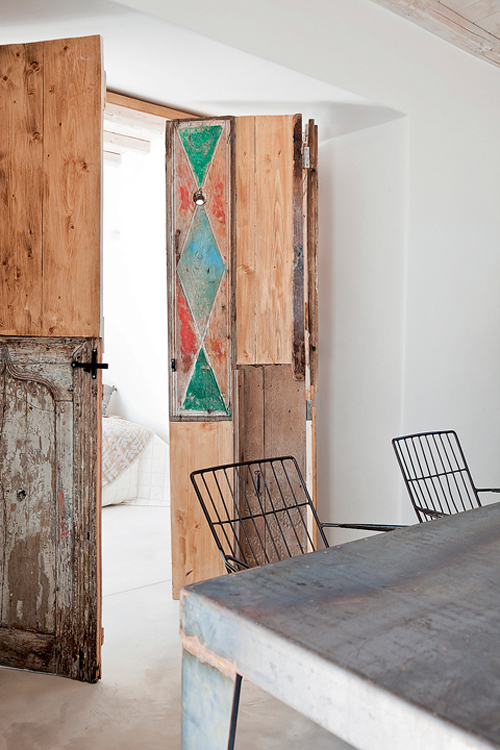 I am inspired to use this style at home in California! Thanks, enjoyed looking at this! Nice to see this again. It was published in Greek Vogue two years ago. 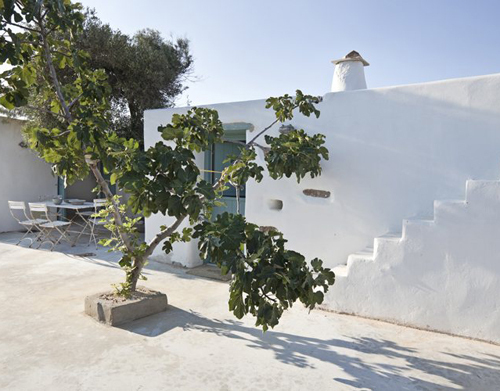 There are two old dilapidated farm houses in the same region of the island renovated by these two young architects from Athens. This is one of those. They did a fantastic job on both.